Previous PostMr. Coffee Hater #2Next PostHalf Moon! Oh, now is that so? Thank you for visiting my blog. Much appreciated. Thanks for visiting here Rolain. Haha.. yes there is a child inside each of us!! Now, thats a new predicament. 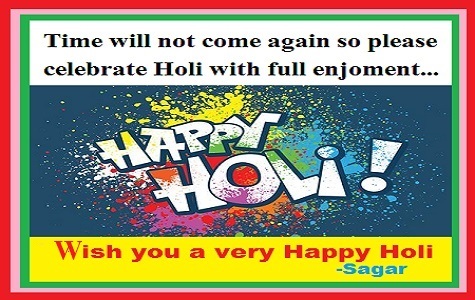 A very Happy Holi to you too. Girl… I am still doing this!! But I could do with another second bakery attack right now. and I am pretty sure, so could you? How about just a few calories full of chocolates and fruits and sugar, and caramel, and of course some more chocolate, Sifar? I am sure I have tempted you!!! Hahaha, okay I won’t do it again. But really, very honestly, how about a chocolate? or say an ice cream sundae? But since you DON’T want to have them I guess you can have a delicious Pizza at home, or even go out for some pasta and a soothing cup of wine, may be? What’s say? OKay, I won’t say anything else. Apart from the fact that as I type this message I am munching on a Cadbury silk! Dont mention silk!!! Even google ad sense is now showing me silk ads on any page i visit….about the new turkish hazelnut one which they have come out now with!! ☹️ did you try that one yet! I am trying hard not to!! THANK YOU !! 😐😐 i knew it! !